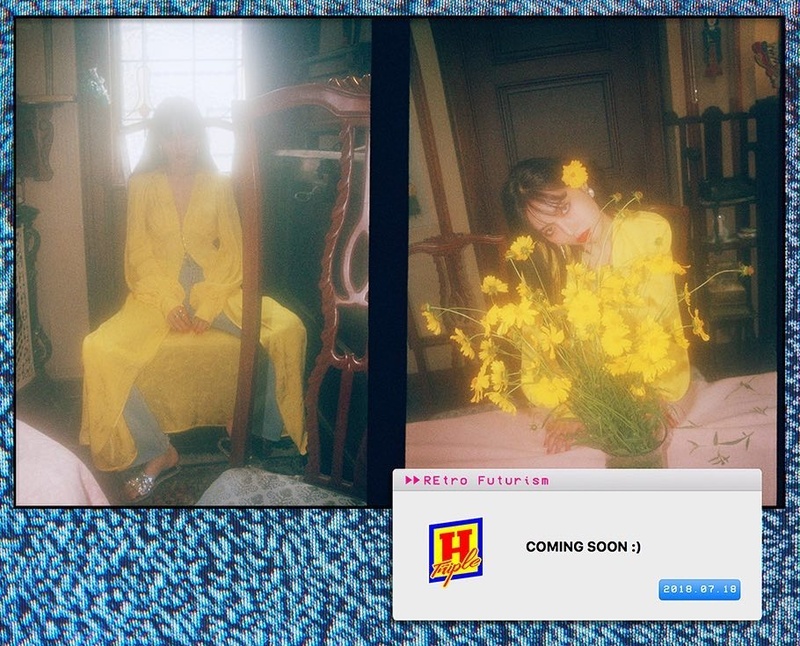 Triple H (트리플 H) is a co-ed group that consists of 3 members: Hyuna (ex. 4Minute), Hui and E’Dawn (Pentagon members). The band debuted on May 1, 2017, under Cube Entertainment. – She can speak Japanese (basic), a little bit English, Mandarin. – Her parents are divorced. – Between 2007-2008 she was a member of the Wonder Girls. – Since 2009 she was a member of 4Minute who disbanded in June 2016. – She was a member of the one-time subunit Dazzling RED with KARA’s Nicole, SECRET’s Hyosung, After School’s Nana, & SISTAR’s Hyorin. 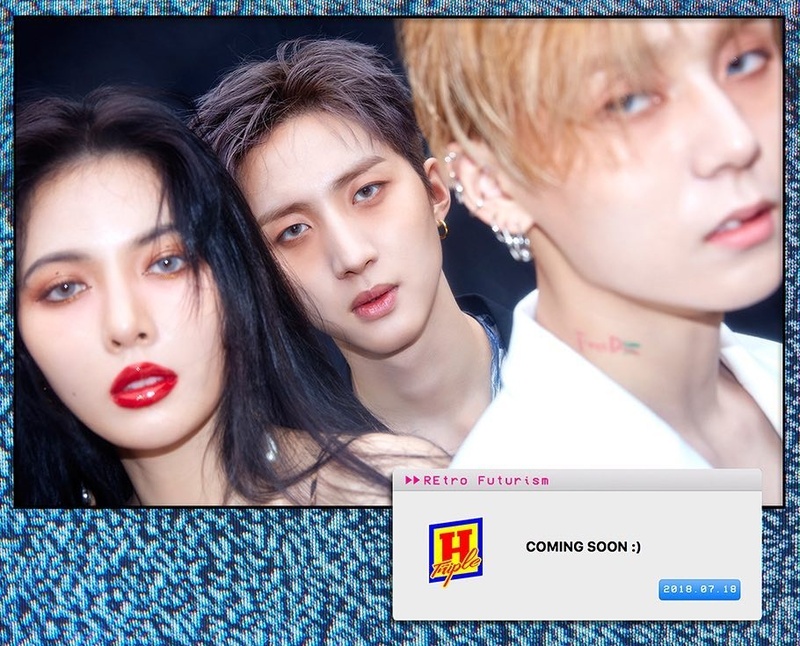 – The members of Triple H (Hyuna, Hui and E’Dawn) wrote the song ‘Never’ for Produce 101, which was a big hit. 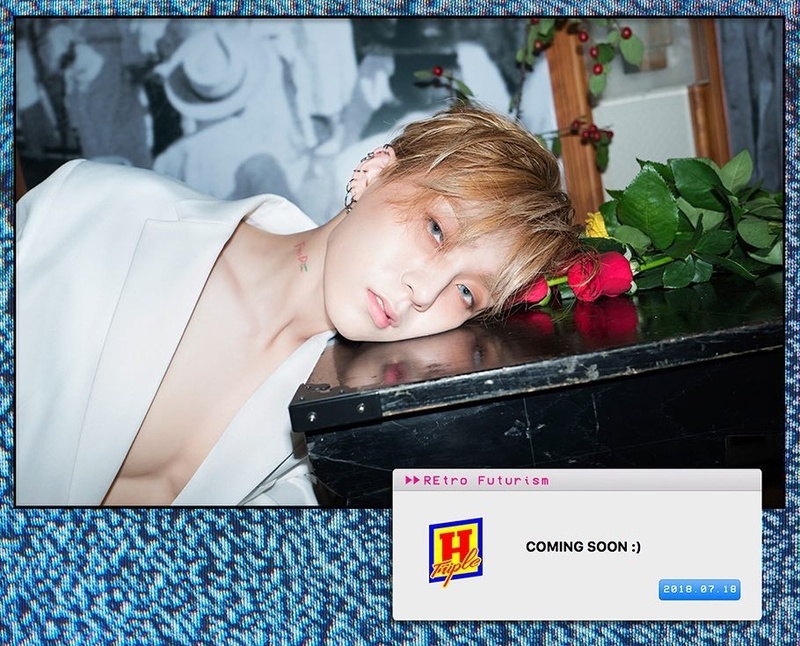 – On August 3rd 2018, it was confirmed that Hyuna and E’Dawn have been dating since May 2016. – On September 13, 2018 Cube officially announced that Hyuna and E’Dawn have been kicked out from the label. – On October 15, 2018 Cube Entertainment announced that HyunA left the company. – HyunA joined PSY‘s new label, P NATION on January 25th, 2019. – She is also a solo artist, under the stage name HyunA. – Hyuna’s ideal type is someone who can accept her flaws and has a big heart. – He used to be a JYP trainee. – He won 1st Place Best Male Vocal at JYP 7th Audition Final Round back in 2010. – He appeared in G.NA’s ‘Secret’ MV and promotional activities. – He appeared in Rain’s ‘Rain Effect’. – His audition for CUBE Entertainment: in the 9th week program, he has finally completed the Pentagon Gragh and was officially accepted as a Pentagon member. – The members of Triple H (Hui, Hyuna and E’Dawn) wrote the song ‘Never’ for Produce 101, which was a big hit. – Hui wrote Wanna One‘s debut track ‘Energetic’ which won lots of awards. 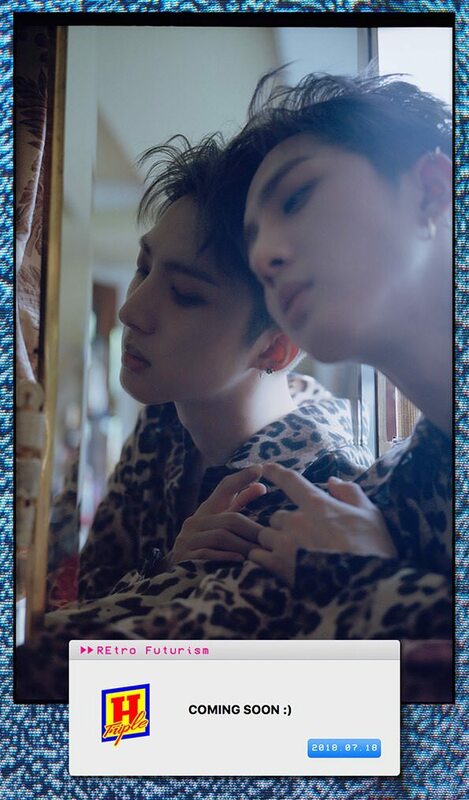 – Hui has been confirmed for the upcoming KBS music variety show ‘Hyenas on the Keyboard’. – On August 2nd 2018, Cube has confirmed that Hui and (G)I-dle‘s Soojin use to date but they’ve broken up. – Hui is currently a member of Pentagon. – During Weekly Idol, they said E’Dawn is the one in charge with dance in Triple H.
– He auditioned for JYP 9th Audition Final Round in 2012 (Dance Team). – Appeared in G.NA’s ‘Secret’ MV and promotional activities. – Thinks he’s the cutest member of Pentagon. – The members of Triple H (E’Dawn, Hui, and Hyuna) wrote the song ‘Never’ for Produce 101, which was a big hit. 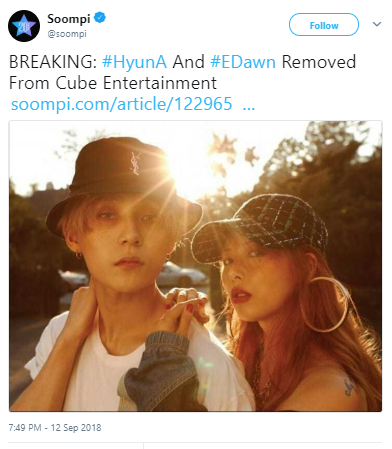 – On September 13, 2018 Cube officially announced that E’Dawn and Hyuna have been kicked out from the label. 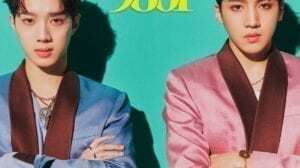 – On November 14, 2018 Cube Entertainment confirmed that E’Dawn has left Pentagon and Cube. – He was a member of Pentagon. – E’Dawn joined PSY‘s new label, P NATION on January 25th, 2019.
Who is your Triple H bias? They just being debuted this month?!?!! Hyuna is their leader 🙂 They decided it by playing rock paper scissors. Hyuna and E’Dawn are also quite close. I’m actually content with Hyuna being the leader. –Hyuna’s ideal type is someone who can accept her flaws and has a big heart. I also support this group! love all the members here! E’Dawn is the main dancer.In weekly idol they said he was in charge of dance. E’Dawns name is written wrong! 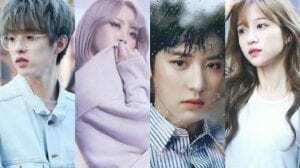 He’s Hyo Jong, not Hyo Jung!!! Am I the only one who saw this, but E’Dawn kind of looks like B-Jew of XENO-T. They hanve an instagram now! their comeback is on the 18th! HyunA just confirmed yesterday that her and E’dawn are dating, they have been dating secretly for 2 years. ThIs HaS aNgErEd MeEeH!!!!!!!!!!!!!!! I LITERALLY HOPE E’DAWN AND HYUNA ARE ACCEPTED UNDER A BETTER COMPANY, TOGETHER. HOPEFULLY AOMG? LIKE BRO LITERALLY, UGH!!!!! I’M SOOOOOO MAD!!!!!!!!!!!!!!!! Cube entertainment just sent out another statement, denying the previous one. They’re saying that, right now, they are still negotiating and talking about it with the artists. Cube says the withdrawal has not been decided yet. Well, Hui’s gonna have to promote One-H alone now. as of now, e’dawn has NOT been officially removed from the label. hyunA has left, but we’re still waiting for an answer for dawnie. It’s so cute that E’dawn and Hyuna are lowkey showing off to fans how happy they are living a normal life. Poor Hui, was a 3rd wheel before all this dating stuff happened and even after the fact that HyunA and E’Dawn left, he is now even more of a lonely potato. Pentagon is tragic without E’dawn! They’re singing about frogs! I love Triple H.. oh no wait HyunA left Cube…. 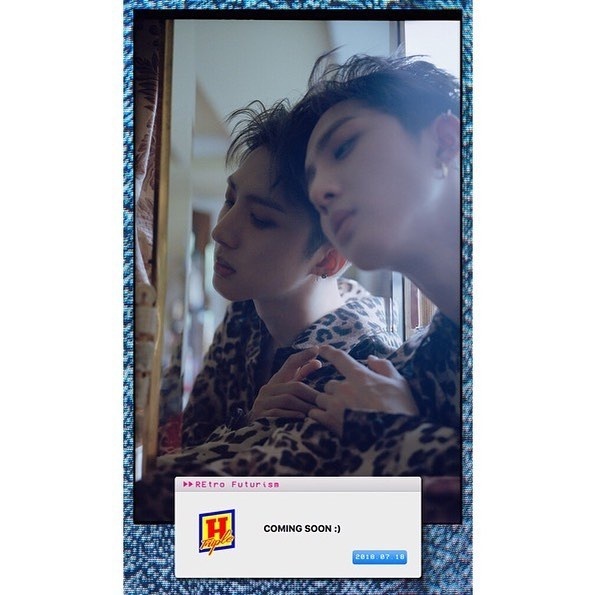 I love Double- really hyojong now your gone?… I love Single H!